Whether you are a classic pure-ist or prefer modern power, Vintage Marine has the solution for you. We use Mercruiser inboards in our replica boats. These engines are powerful, economical and reliable. They install well and provide years of trouble free service. 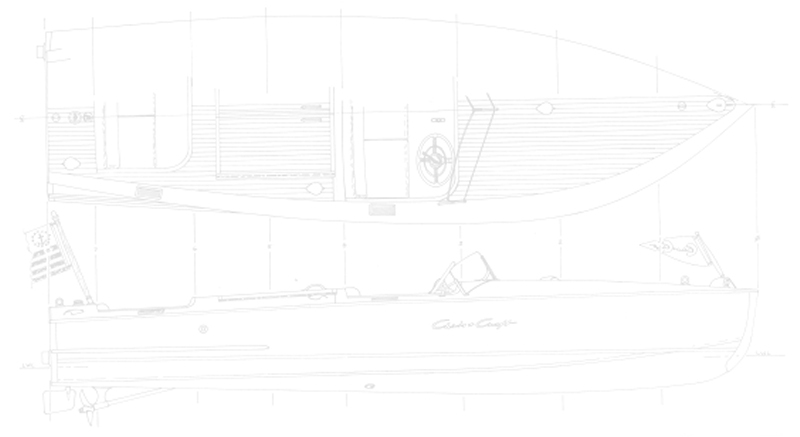 The Competition Ski series is particularly well suited to antique and classic boats where the height of the decks can be a concern on some vessels. Mercruiser inboards also make an excellent power alternative to original engines. For greater performance and turn key operation, these engines can replace your tired original engine. 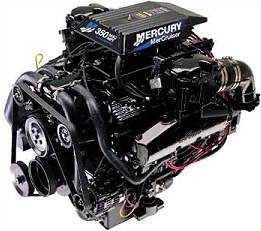 If Mercruiser is not your preference, we will install whatever powerplant you specify. 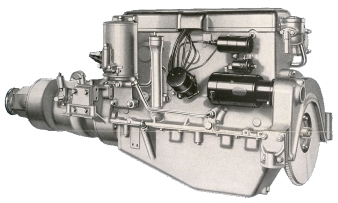 Many classic boat enthusiasts prefer original or original type marine engines. 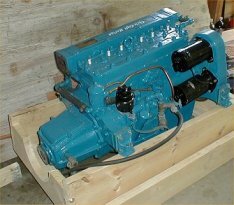 Vintage Marine offers complete engine rebuild services for most marine applications including Chris Craft, Scripps, Sterling, Gray Marine, Chrysler Marine, GM and Ford based engines, Lycoming and Universal. Our rebuilds have won numerous awards. We use only the best quality replacement parts and color match the paint to the original factory specification. Please contact us for details. Vintage Marine can handle your maintenance and repair needs. Tune-ups, repairs, spring commissioning and winterization are available services. We can also convert your six volt system to twelve volts for better starting, more reliable operation and convenience - with a twelve volt system accessories such as hand held spotlight, VHF radios, stereo and CD players and cell phone chargers can be used. If your engine runs fine but looks old and tired, we can repaint and detail it to keep your boat in showroom or boat show quality.